If the size of Victory and Stoudt's seem to steal attention in Philadelphia's brewing scene, they better look out because Sly Fox will be right there with them soon. The past five years or so have been very good for Sly Fox's business model. They've added another location, upped their bottling (canning too) and kegging capacity, and expanded their distribution footprint to new markets. I've heard certain "XtremeHeads" say that Sly Fox standard beers are not all that interesting. While taste is certainly subjective, what cannot be argued is that the standard lineup of Sly Fox beers are all very well done. But, if that's still not enough for you, then check out the Black Raspberry Reserve, Dunkel Lager, Ichor Quad, Instigator Doppelbock, Odyssey IPA, Renard D'or, or Oatmeal Stout (just to name a few of the "specialties") and then tell me what you think of Sly Fox. Many watering holes around the Delaware Valley, in fact, think so highly of the O'Reilly's Stout that it's not uncommon to hear how Brian's beautiful creation has replaced the mighty Guinness. 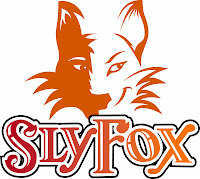 Through Brian's reputation and friends in the industry, Sly Fox also has the business of doing specialty bottling for Southampton (NY) and Brewer's Art (MD). The great beer, events, and people of Sly Fox all make for a winning combination that should not be missed when in the Philadelphia area. As you ready yourself for Philly Beer Week 2008, study up on some background notes on Sly Fox and consider yourself lucky to be part of such a vibrant and rich beer region that PBW 2008 will celebrate. I really like the brewer profiles that you are putting on here. Very informative. Keep it up. Thanks Anon, but what's one century versus another really?! Heheh, thanks for pointing out the typo that both I and my "Sly Fox editor" missed. Been humbled and it has been corrected. Thank you, Greg, for the nice comments! No problem Bryan. I have been enjoying sly fox for quite a while now. And really enjoy and appreciate all you do on this blog. Just came across it about 2 weeks ago and have really enjoyed it. Who should I believe, you or my lyin' eyes? Anytime I have problems, I blame them on the Blogger tool thingy. I find it easier that way. Or maybe I should've gone to Word Press?